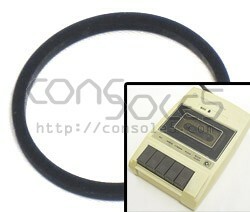 This belt replaces worn, broken, or missing tape counter belts in EARLY Commodore 1530 Datasette tape decks. These are the narrow Datasette drives similar in style to the built-in PET units. Cassette spindle drive belts are also available - please see the related products for spindle belts!